There are many trade schools in USA where you can pursue a course of your choice. Most of these schools have traditional classrooms and online campuses for students who can’t attend normal classes. The quality of education online and on-campus is the same. Anyone looking into trade schools will have plenty of options to explore. There are so many short courses, diplomas, certificates and degree programs that they can enroll for. The schools cover all areas of study imaginable. There are courses in acting, advertising, automotive, Christian studies, beauty, diving, electronics, funeral, media arts, fashion design, paralegal studies, plumbing, real estate, social work, truck driving and more. One is therefore likely to find a course or more to go for. Mesalands Community College is an Online trade school through which you can take a GED, an Associate of Arts or Associate of Applied Sciences course online. The programs offered at the school are well tailored so as to give you more skills that will help you gain employment and also advance in your academics. You can successfully transfer to a four-year college or university with the credentials you gain from the school. The following are the degree and certificate programs offered at the school: Public Administration, Business, Education, Agri-Business, Allied Health, Wind Power Technology, Liberal Arts, Animal Science, Fine Arts and Power Technology. An Associate of Arts degree usually requires one to complete between 64 and 73 credits and takes four semesters to complete. An Associate of Applied Sciences degree on the other hand requires 64 to 83 credits and can be attained in two years. The college is accredited by the Higher Learning Commission (HLC). Crowder College is a leading trade school in Missouri where students can study online for different courses. Students can choose which courses to pursue from departments such as Agriculture, Automotive, Allied Health, Chemistry, Business, Psychology, Theatre, Social Work, Criminal Justice, Education, Economics, Electronics and many more. Crowder College is accredited by the Higher Learning Commission (HLC). The school is open to new students, transfer students, working individuals and veterans. New students seeking admission into any of the programs offered have to submit a completed application form and a $25 application fee. They must also take a placement test and submit official high school transcripts or GED scores. Transfer students should request for official transcripts from all post-secondary institutions attended. Veterans on the other hand may fill out a Change of Program form in order to transfer their benefits to their program of choice. They are required to submit their paperwork to the Veterans Services Office. Western Iowa Tech Community College is a trade school offering a wide range of programs with flexible online classes. Prospective students may choose to enroll for diplomas or associate degrees in liberal arts and technical fields. Examples of the programs offered include Accounting, EMS – Paramedic, Graphic Design, Manufacturing, Medical Assistant, Police Science, Legal Assistant, Sociology, Surgical Technology and Wind Energy Technician. Besides offering quality education, the college also has a job training service where students are prepared with skills that will enable them find fulfillment in their careers. Admissions into the programs are open to everyone from high school graduates to veterans. Credits covered at the college are transferable to a four-year degree program in a different school. Students may enroll for fully-online 16-week courses, 8-week courses or 12-week courses per semester. The college is accredited by the Higher Learning Commission (HLC) and the North Central Association of Colleges and Schools (NCACS). Sullivan and Cogliano Training Center presents prospective students with the opportunity to study online for a program of their own choosing. There are various certificate and degree programs that one may enroll for including Language, Customer Service Specialist, Office Professional, Business, Information Technology and Accounting. The coursework for the Customer Service Specialist entails Introduction to Sales, Listening Essentials, Communication and Customer Conflict Resolution. In the Accounting Support Office Specialist course, students are taught Introduction to Finance and QuickBooks and also Accounting I and II. Upon successful completion, graduates may work as auditing clerks, administrative assistants, office managers and financial aid clerks in government establishments, businesses and educational settings. The Information Technology program prepares students to become systems administrators, web developers, enterprise administrators, software developers and database administrators. Students are equipped with knowledge on operating systems, hardware and networking technologies. The Institution is accredited by the Council on Occupational Education (COE). Southeastern Technical College is one of the leading online trade schools with a variety of degree, diploma and technical certificate courses. Some of the technical certificate programs available include Marketing Specialist, Early childhood care and Education basics, Help Desk Specialist, Web Site Developer, Human Resource Management Specialist and Introduction to Criminal Justice. The Diploma courses include Computer Information Systems with specialization in Computer Support, Networking and Website Design, Business Management, Criminal Justice Technology and Marketing Management with specialization in Retail Management, Marketing Management and Entrepreneurship. The Degree programs available are similar to those offered in the diploma category. Online students will have to complete a proctored event which will count for at least 20% of the grade. The event is administered by an instructor or a Southeastern Technical College employee. The College is accredited by the Commission on Colleges of the Southern Association of Colleges and Schools (COCSACS). San Bernardino Valley College gives you the opportunity to study online at the comfort of your home, office or business. It offers many courses, making it easier for you to find one that meets your educational goals. Some of the programs available include Justice Administration, Accounting, Biology, Child Development, Economics, Library Technology, History, Music, Real Estate, Spanish and Water Supply Technology. The coursework for each of these programs is developed to equip the student with knowledge and skills that they’ll need once they’ve completed school and begun working. The courses give students education credentials that will help them find work in related fields as well as advance in their careers. SBVC is accredited by the Accrediting Commission for Community and Junior Colleges (ACCJC). Students may enroll for certificate or degree programs as per their wishes. They will receive all the technical support they need so that they may have an amazing learning experience. Oconee Fall Line Technical College is an online trade school from which you can study for a degree or certificate of your choice. The student chooses the most convenient time for studying so that they can find a balance between their busy work life, family life and education. By taking the courses, students study general education curricula as well as attain skills needed for employment. The knowledge acquired helps students develop interpersonal, social and intellectual values. Programs taught at the campus include Electronics Technology, Practical Nursing, Criminal Justice Technology and Air Conditioning Technology. Students seeking admission must submit a completed application form alongside a $25 application fee. Applicants who’ve covered 30 semester hours or more may request for official college scripts from institutions attended. Other applicants are required to turn in their high school diplomas or GED transcripts. Oconee Fall Line Technical College is governed by the State Board of the Technical College System of Georgia (SBTCSG). 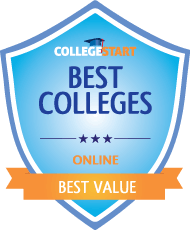 The Jefferson College is an institution that gives students the opportunity to study online for an associate degree or certificate course that meets their career and educational goals. Students are required to complete 62 credit hours in order to attain the degree. 42 of these hours usually go to General Education while the rest are completed through the Elective courses. The curriculum for General Education entails Humanities, Communication, Social Science, Computer Literacy and Math & Natural Sciences. Students may enroll for an Associate of Arts in Teaching, Associate of Science, Associate of Arts and Associate of Applied Science degrees. The degree and certificate options available include Applied Technology, Business Information Technology, Health Information Technology and Wielding Technology among others. Applicants into these courses must submit official GED or high school transcripts, ACT results or take a COMPASS test. Transfer students are required to request for official transcripts from institutions attended. The institution is accredited by the Higher Learning Commission (HLC). Georgia Piedmont Technical College presents future students with an opportunity to enroll for courses which they can take part in at their most convenient times. There are lots of programs that students can choose including Biology, Accounting, Allied Health Sciences, Paramedic Technology, Criminal Justice, Information Technology marketing, Sociology and Psychology. With an associate degree, one may seek career advancement and also further their education. You will learn valuable workforce skills that will enable you to secure jobs related upon course completion. The college is accredited by the Commission on Colleges of the Southern Association of Colleges and Schools (COCSACS). Besides the associate degree programs offered, individuals may also enroll for continuing education in CPR & Health Industrial and Manufacturing Skills, Computer training and Career & Professional Development. For enrollment, students are required to submit their applications and test scores. They must also request for official transcripts from all colleges or institutes attended.